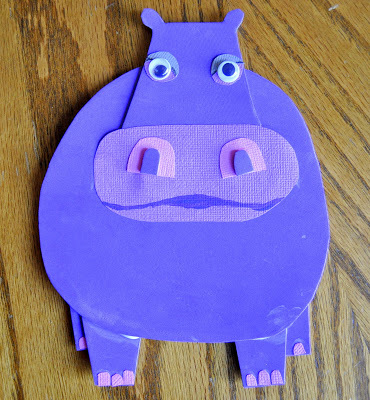 Pinterest inspires me pretty much on a daily basis…I repinned THIS pin and knew I had to find a way to recreate the Hippo Masterpiece. The pin comes from beautiful artwork by Melanie Mikecz and her shop on etsy is definitely worth checking out. 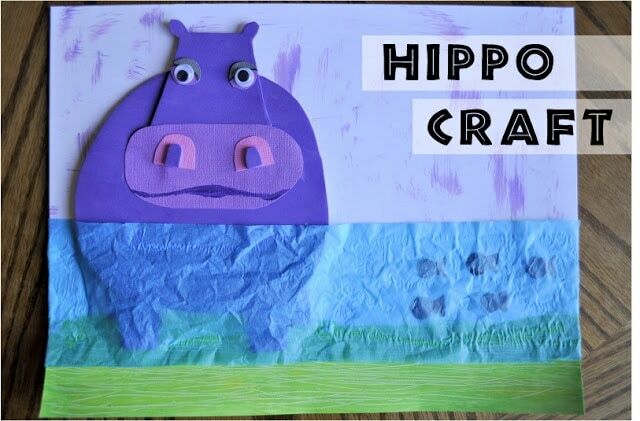 A Hippo craft just isn’t complete without reading the HICCUPotamus by Aaron Zenz. 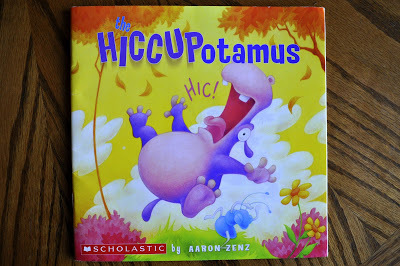 “There was a Hippopotamus who hiccupped quite-a-lotamus and every time he got’emus he’d fall upon his bottomus.” Pretty much one of the most hilarious read aloud stories EVER! After a Hippo gets the hiccupps his friends try to find a way to cure him. 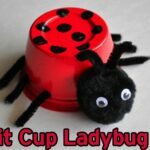 They end up successful, only to find that they themselves all have the hiccupps now. It is a hoot! Here is the completed background before putting the Hippotamus on it. 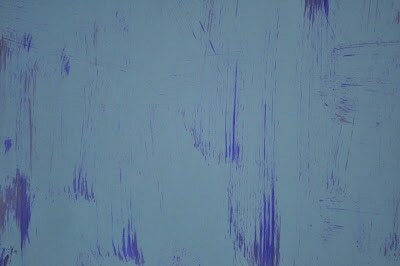 I used a thick paint brush with hardly any purple paint on it and made streaks all over the paper reminicent of the artwork. 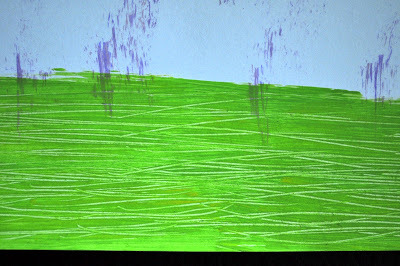 For the ground I mixed green and yellow and brushed it on. Then while it was still wet I used a fork to make the texture in it. 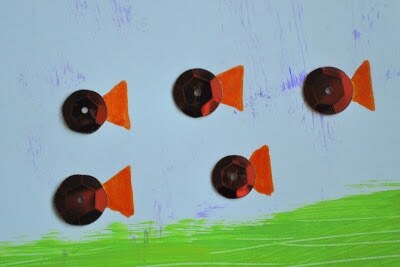 The fish are red sequins with orange markers used for the fin. Here is the completed Hippotamus. 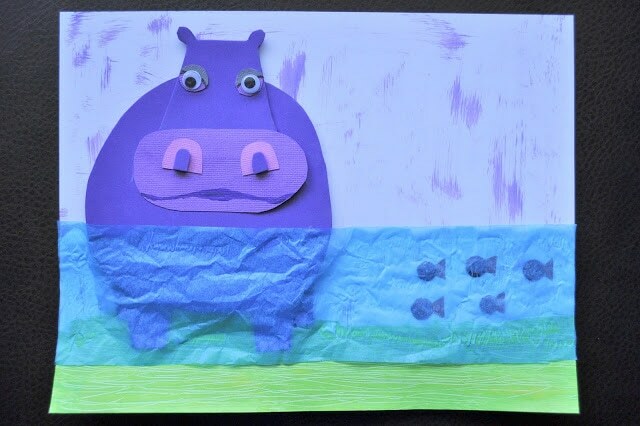 I used a purple foam sheet to make the Hippo because it was the only dark purple I had. 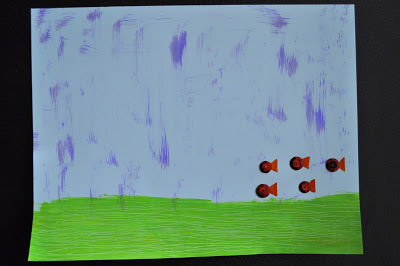 If I had darker purple card stock paper, I would definitely use that instead. I simple cut out all the Hippo pieces and glued them together. I used a lighter purple for the mouth and eyes, as you can see. There is also some gray on the eyes with a black thin black line, kind of like the artwork. 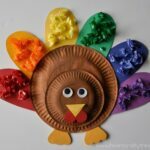 When I do this craft with my kids I will definitely leave out the pink fingernails on the feet and the extra detail in the eyes. Totally not necessary, but I was just trying to get close to the artwork. 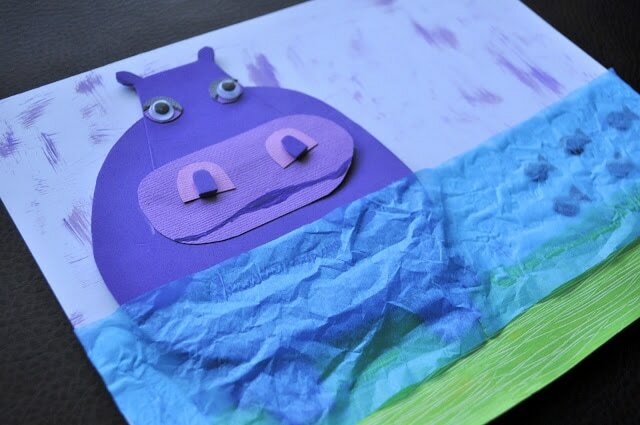 Then simply glue the Hippo on the paper and a sheet of crinkled blue tissue paper on top to act as the water. The artwork shows the Hippo’s mouth submursed, but my tissue paper was too dark for that, so I opted to just have him standing in the water. I’m really pleased with how it turned out and I can’t wait to make it with my kids with some minor changes to the hippo to make it easier for the kids. I will probably have them add some birds in the background too since there is lots of empty space. I like to link up my posts to THESE fun link parties. That book looks adorable! I am going to have to get that for Reed! And the craft you guys made is too cute for words! Thanks for sharing at the Pomp Party! Pinning!!! Oh my gosh!! We just borrowed that book from the library two weeks ago and LC is obsessed with it! He can quote the whole first part…"There was a hiccupotamus who hiccuped quite a lotamus, and every time he gotemus, he fell upon his bottomus!" Lol. Pinning this! seriously! 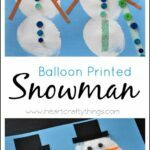 this has to be one of my favorites of your crafts! could that hippo be any cuter! and the way you used the tissue paper is brilliant. you never cease to AMAZE me! pinned it!